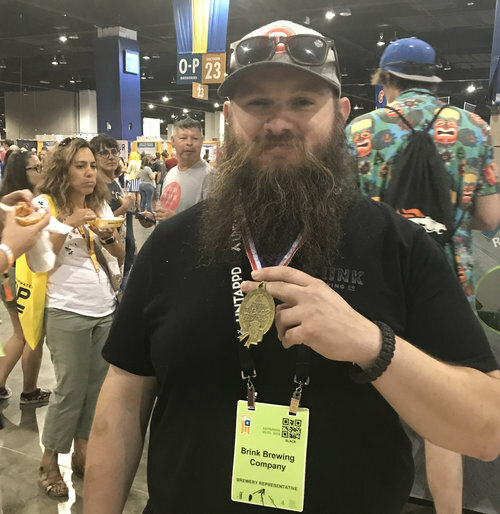 Meet Drew — Brink Brewing Co. Looking for kegs or distribution? Skyline or Goldstar ? Skyline, but I've heard a mix of Skyline & Goldstar makes for the best chili dip. What was your "gateway beer" into craft beer? I drank a lot of Bell's Two Hearted, Anchor Steam, and anything Sierra Nevada early on. Favorite Brink Beer: Damocles black milkshake NEIPA topped with a little Night Cap Christmas porter. My Bucket List Item: To travel to all U.S. National Parks and do at least a two night backpacking trip. Fun facts: Started taking piano lessons when I was 6 yrs old. Played violin, viola, and saxophone (tenor, bari) in school. Have been playing guitar since I was 13. And I was in the Cincinnati Boys Choir, for about 3 weeks.